CAMBRIDGE, MA–(Marketwire – April 13, 2011) – According to a new PatientsLikeMe® Poll, almost one in three (29%) patients have withheld certain health information from their doctor. Of the 4,364 poll respondents, all of whom are members of PatientsLikeMe’s online health data-sharing community (www.patientslikeme.com), nearly half (47%) indicate that they have chosen not to share certain health information with an employer, while 14% have withheld information from insurance companies. In their poll responses, patients also identified some of the reasons why they chose not to share their health information. Patients’ unwillingness to share certain information with doctors is driven by more emotional triggers. Almost half (44%) say they didn’t tell a doctor about something related to their health because they “didn’t want to be lectured/made to feel bad;” second to that was fear of embarrassment (36%). What aren’t they sharing with doctors? Respondents said symptoms (41%), lifestyle information such as “diet, alcohol, exercise, or smoking” (39%) and failure to take a prescribed medication (29%). Alternatively, the majority of patients who withheld information from an employer cite more practical implications. Sixty six percent (66%) of patients indicate the top reason as being “none of their employer’s business,” but nearly half (49%) say they are afraid of losing their job and about one-third (35%) are afraid of not getting a promotion. Finally, the individuals who kept certain health information under wraps from their health insurance companies report they did so out of fear of losing coverage (39%), fear of not having a specific treatment or procedure covered (39%) or fear of premiums going up (25%). 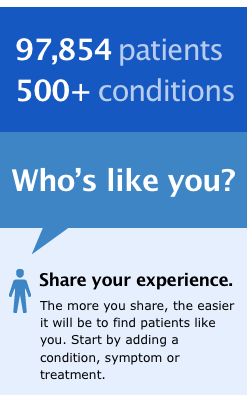 The complete PatientsLikeMe® Poll results can be downloaded here. NOTE TO EDITOR: All poll results must be sourced as originating from PatientsLikeMe®. Between March 22nd and March 29th, PatientsLikeMe invited all members who had been active on the website within the past 90 days to participate in the PatientsLikeMe® Poll; 4,364 members completed the survey. Mean age of respondents was 49 years (SD 12, range 13-84).